Lamore’s Service Station is actually two companies in one. On the one hand we provide top quality towing and roadside assistance services 24 hours a day. On the other hand, we are capable of performing the best in auto and truck repairs and maintenance in our state-of-the-art shop. Our trained technicians use the best replacement parts and the latest diagnostic equipment to help keep you safe and your vehicle operating safely and efficiently. The weather can change quickly here in New England which is why Lamore’s Service Station urges you to stop in at the first sign of a problem or for all of your scheduled maintenance. 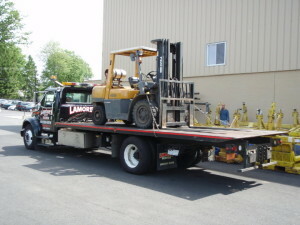 And if the worse should happen and you get stranded on the side of the road, if your battery is weak, if a coolant hose breaks, or your brake linings have gone bad, remember that we’re just a phone call away to get your car, pickup truck, semi, or heavy duty truck back up and running again. © 2019 Lamore's Gulf Station. All rights Reserved.